At Craigmhor Lodge & Courtyard we’re delighted to provide our customers with dining options for every meal of the day. Some say its the most important meal of the day. We know that a scrummy breakfast sets our guests up for a full days exploration with all the thrills and discoveries it can bring. Breakfast at Craigmhor Lodge is a highlight using only the best of fresh local produce, so much so that we were the delighted winners of the Best Guest House Breakfast award at the 2012 and 2013 Hotel of the Year Awards! Enjoy a continental buffet followed by a full cooked Scottish breakfast all served in our light & airy dining room. Cosy & informal, the sunny dining room is the ideal place to join your fellow guests for breakfast, tailor-made to your taste. Recently refurbished, this room blends both traditional and contemporary styles which enhance the many original features of our Victorian house. 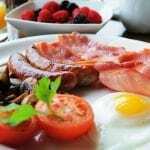 Sit back, relax and enjoy breakfast in style whilst overlooking our gardens and Pitlochry town. Please note that Breakfast is the only meal of the day served in our dining room. Early breakfast is available by arrangement. When you’re off on a day’s adventure you don’t want to be worrying about where to find a shop with soggy sandwiches and uninspiring crisps. Why not arrange a tasty, filling packed lunch from reception. Arriving late or just want to spend a lazy night in? Why not arrange for one of our delicious supper hampers to be delivered to your room. Packed Lunches If you’re planning an adventure, you’ll need something filling for lunch on the hoof. At Craigmhor Lodge & Courtyard we’re happy to prepare a packed lunch for you to take out for the day. Our packed lunch consists of home made deep filled sandwiches with a selection of filling to choose from, fruit juice a choice of apple or orange, a piece of fruit, chocolate and crisps. 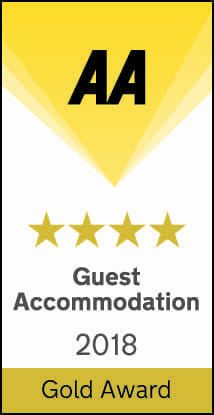 Should you have any specific requirements, please let us know the night before and we will be happy to do our utmost to accommodate your wishes. Supper Hampers Must be pre-arranged at least the night before required. Our Highland Laird Hamper includes smoked salmon, cream cheese, freshly baked bread, sparkling Highland Water and a selection of fruits. Our Perthshire Platter includes a selection of smoked and un-smoked meats and game, Highland Perthshire oatcakes, Local Chutney, Perthshire berries with creme fraiche (in season) and Highland Water. Our Cheese Lovers Supper includes a selection of award-winning cheeses from Taste Perthshire Deli along with freshly baked rolls, biscuits, grapes, celery, red onion marmalade and Highland Water. 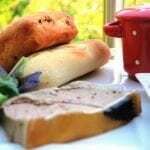 Soup of the day with crusty rolls & butter, Pate & Onion Marmalade with seasonal fruits and a Green Salad. Bottled Mineral Water. Quiche, Salad, Handmade Crisps & Coleslaw, Bottled Mineral Water & Seasonal Fruits (Vegetarian available on request).